We have been producing professional pizza ovens for 15 years. 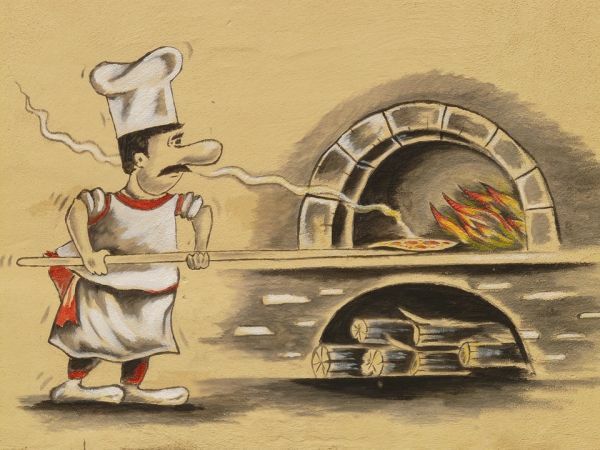 Kuma Forni was born 15 years ago when Mauro Segat and Alessandro Fratton started producing wood-fired, gas and gas/wood-fired ovens for pizzerias and restaurants. Such a long-time experience enables us to offer professional ovens at the forefront of technology, perfect to meet the several market needs at their best. Kuma Forni maintains the quality that has been characterising it since its birth but at the same time its technicians keep on testing and designing new types of wood and gas revolving ovens, able to meet all its potential customers’ needs: from pizzerias to bars, from big to local restaurants. In the last few years, the technology of Kuma ovens was improved and now we can also offer you ovens equipped with computerized control panels characterised by selectable cooking time and speed, settings that you can modify at any time during your oven operation.